A permit is needed to salvage? I have a need for food, IRL. Why do you have a need for food? Due to human physiology, without food, I will die. I should not murder my neighbor, even though I dislike him and he lowers my property values with his unkempt yard. Why shouldn't you murder him? Murder is against the laws of the country where I live in. I need to buy plex or subscription for EVE, if I want to play EVE. Why do you need to buy plex or sub? Due to the rules and code of EVE online, I won't be able to log in if I don't. 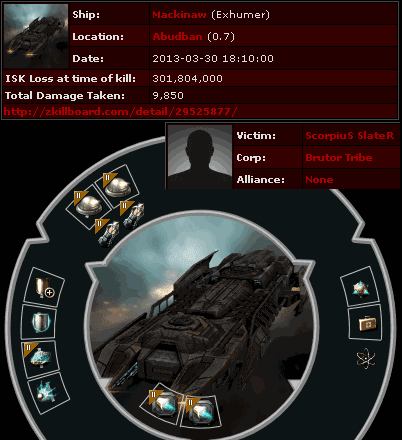 I should buy a permit to salvage or mine in highsec. The laws that the rulers of highsec have established say so. Do you now understand the distinction between 'need' and 'should'? "The rigs added something extra to the price tag, but at least Dr Geep didn't go overboard and buy three tech II versions; why spend 207 million on mining drone rigs when you can get away with only spending 158 million?" Looks like the T2 mining drone rigs cost 150 calibration points while T1 cost 100. The Orca has 400 calibration points. So wait, we need a permit to salvage now as well? I don't see that in the Code anywhere. As far as i can tell by reading the Code, salvaging is not mentioned anywhere. What's next? A permit to transit, a permit to use stations,a permit to buy new ships, a permit to log in? I would like official clarification from James or one of his alts on the issue. "So wait, we need a permit to salvage now as well?" No. You're free to salvage without one, just like you're free to make all kinds of mistakes. It'd be smart to get a permit to salvage, though. "As far as i can tell by reading the Code, salvaging is not mentioned anywhere. " From the code: " New Order territory is a safe space for suicide gankers. " Any completely untanked yet expensive indy ship, like that noctis, is a pretty obvious target for ganking. Surely you can see this? "What's next? A permit to transit, a permit to use stations,a permit to buy new ships, a permit to log in? " Of those 4, "A permit to transit" is the most likely, in any future expansion of the permit system. This is just common sense. You would like official clarification from James himself? You're in luck, there's a blog post by James which clarifies the issue perfectly: "If you're going to salvage stuff, better safe than sorry--get a permit." It's from today's blog post, which you've already responded to with a comment. Read before commenting, people. I'm sorry, i wasn't specific enough. Let me rephrase. There is no reference in the Code for a Salvage Permit, just for a Mining Permit. If it's in the Code, it has to be referenced in the Code page. " New Order territory is a safe space for suicide gankers. " is not relevant in this case, as it makes no reference to Mining or Salvaging, just ganking, which takes place anyway, permits or no permits. The response i was expecting from James was to put a note about this in the Code (call it an amendment, whatever). This causes confusion, as people who bought a Mining Permit may be falsely led to believe that the mining permit covers salvaging as well, which it does not, from what i understand. Also, James has to set the price for that permit as well, as it's not stipulated anywhere. I support the New Order, but before ENFORCING new legislation, every government has to make sure it has the infrastructure to SUPPORT the new legislation. "If it's in the Code, it has to be referenced in the Code page. " Actually, the Code states that "Since the Code is a living, breathing document, it's not possible to fully enumerate all of the rules. But here are some examples of the rules, to help everyone get a sense of its spirit:"
Now that we've cleared up that misunderstanding, let me provide you with a quote from James himself that makes this entire issue crystal clear: "If you're going to salvage stuff, better safe than sorry--get a permit." If you're still unclear on the issue, let me advise you to stop thinking about it as it's not working out for you, and to instead, in the interests of being safe, not sorry, get a permit. I hope this reply has helped you learn about being safe, not sorry, by buying a permit. It's easier to insult and blurt out a copy-pasted reply, like the good botter that you are, then to read the question, isn't it? Let me rephrase the question to an even simpler form, so even the Knights of Highsec can understand it. "Is the Salvaging Permit a separate permit, or it's included in the Mining Permit?" "It's easier to insult and blurt out a copy-pasted reply, like the good botter that you are, then to read the question, isn't it?" I see a few insults, all coming from you. I warn you that language like yours is grounds for getting your permit revoked, as it violates the Code. ""Is the Salvaging Permit a separate permit, or it's included in the Mining Permit?"" If I answer this, then tomorrow you'll ask "If the X permit a separate permit, or it's included in the Mining permit? ", for some new X that you found in a dream. Since I don't want to answer that question every day, I instead choose to point you towards today's post by James, which makes the issue very clear. Next time, if you are wondering "is there a special permit for this random thing", just ask yourself, "did anyone mention a special permit for it?, or am I just asking foolish questions for absolutely no reason? " The answer will most likely rest in the latter case. Anonymous raises a fair point, I motion the code be officially amended to add salvaging to the list of things in Highsec that require a permit. It is in the spirit of the New Order to be as up front and transparent as possible, and minerbumping has so many posts that we can't expect every resident of Highsec to read all of them, or come across this specific one. When an ignorant miner I've just exploded asks me in earnest how he can avoid it happening again, I link the code and tell 'em to follow it, so I feel like it should include a comprehensive guide to avoiding a swift death at the righteous hand of the New Order. On the Contrary, every miner is REQUIRED to read and take note of all posts on minerbumping.com to be Code compliant. The Code clearly states that "Since the Code is a living, breathing document, it's not possible to fully enumerate all of the rules." You should read the Code, it's all there. If you have doubts about doing something, buy a permit to be on the safe side. Period. 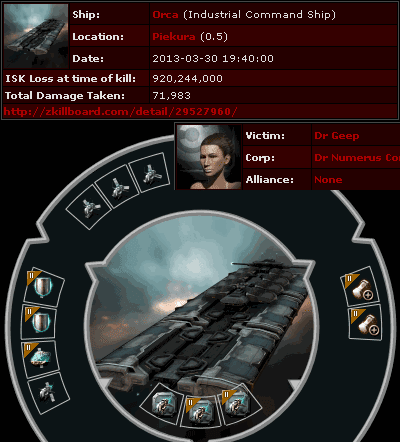 anyone playing EVE, who is flying a ship that can be profitably ganked, doesn't need to look for reasons as to why he got ganked beyond that one. An untanked noctis carrying 100m in loot obviously fulfills this criterion. "so I feel like it should include a comprehensive guide to avoiding a swift death at the righteous hand of the New Order. " Here's one: buy a permit. tank the heck out of your ship. done. Maybe its just me, but it seems like theres a rampant case of "Dense-Headedness Syndrome" flying around here. IN CASE...somehow...some of you are unaware, this issue is stemmed from the fact that there is a EMERGING USE OF BOTTING TO SALVAGE. 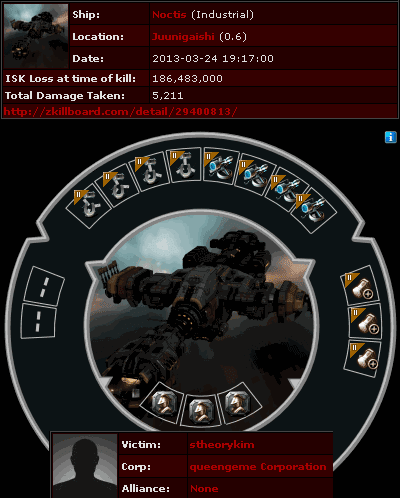 There are already posts, and kms proving that nocti pilots are no more than an empty shell with salvers instead of mining laz0rz. THE NEW ORDER CODE DEALS SPECIFICALLY WITH BOT....AND....BOT ASPIRANT BEHAVIOR. certainly EVERY noctis is not a bot, but if you find one, you splode it like a watermelon with a mallet. end of story. people always find a way to bend the rules, to hide in shadows and do dirty deeds. The New Order will bring light to the shadows with blazing antimatter and flaming wrecks. dont bot. in a mining ship, in a noctis, noone cares what youre in. dont bot. or youll wake up in a station wondering wtf happened. F*ck, he hates us all! I am a ganker of very little brain, and long words bother me. I find that it is more fun to work with someone who doesn't use long, difficult words but rather short, easy words like "Pay me 10mil ISK or go kablooey." If more words are needed, please contact my solicitor - Babatunde B Babatunde. "On the Contrary, every miner is REQUIRED to read and take note of all posts on minerbumping.com to be Code compliant. The Code clearly states that "Since the Code is a living, breathing document, it's not possible to fully enumerate all of the rules." 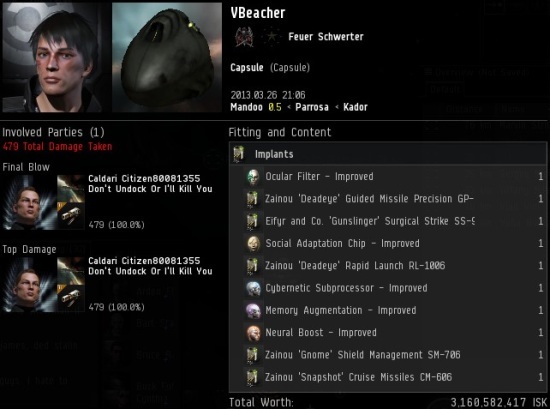 "
It is amusing the New Order cannot target the bots which we see everyday within the ice and asteriod belts however with the New Order grunts "Pay me 10mil ISK or go kablooey" mentality it is little wonder. PS. I doubt very much the rumours that a significant part of the donations to the New Order are being provide by botters are true. When you see someone putting on their Kablooey Boots, you can be pretty sure that an Adventure is going to happen. Pics or it didn't happen. No, not the pics with you, the turtles, and the angry overweight deputy. The pics where you back up your scurrilous lies with hastily constructed fabrications and hinkyjinks. Every time Bobbins posts, a flower dies somewhere children play.